MINNEAPOLIS--(BUSINESS WIRE)--Mar. 10, 2016-- Oh, hello Daylight Saving Time! We didn't see you there. You'd like an hour of everyone's weekend? That seems harmless. That's plenty of time to adjust, right? Actually, not; our internal clocks have something to say about that. "Although the weekend seems like the perfect time to spring ahead, losing that hour of sleep during a weekend is more disruptive to our sleep cycles than expected," said Pete Bils, vice president of Sleep Science and Research, Sleep Number. "Most people change their schedules on the weekends, they go to bed later and sleep in, which makes the body feel like it's traveling across time zones. This "jet lag" leaves lasting effects, including feelings of anxiety, sadness or stress — and a lack of motivation on Monday morning. In fact, Mondays are the worst days for heart attacks, traffic accidents and workplace accidents — and these numbers are compounded the Monday after Daylight Saving Time begins." Recent SleepIQ® technology data gathered from tens of thousands of Sleep Number® sleepers proves Americans get the best sleep quality and quantity on Tuesday nights, making it the perfect night to sacrifice an hour of sleep, if you must. That is why Sleep Number believes in changing Daylight Saving Time from the second Sunday in March to a night when we're sleeping the best, so it's easier to recover. 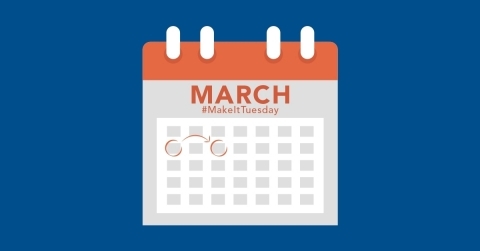 Americans can weigh-in on social media channels with their opinion by using #MakeItTuesday. Let's use the latest sleep technology to make modern day living (and sleeping) more, well, livable. "Losing an hour mid-week is easier because we're getting more sleep and are back on normal schedules," Bils added. "And a bonus, if we move the time change to a week day, the weekend remains intact! And who doesn't want that?" Media Note: For foolproof tips to help prepare for a seamless Daylight Saving Time transition, visit http://sleepnumber.new-media-release.com/makeittuesday/ for additional media materials (a video, fact sheet and infographic).